We are extremely fortunate to have the best support staff we could possibly hope for. Our staff is highly trained to maintain the utmost confidentiality of all of our clients with courtesy and efficiency. 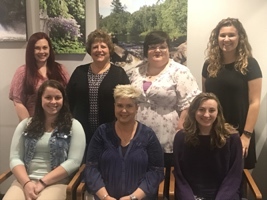 Janet, Jenn, Kelly, Nicole, Abbie, Sophie or Nicole will help you schedule and answer general questions about the clinic. Dawn or Carol will handle questions for you about insurance or billing. They can all be reached through our main number (608-829-1800). © 2018 Mental Health Solutions, S.C.